Hello. 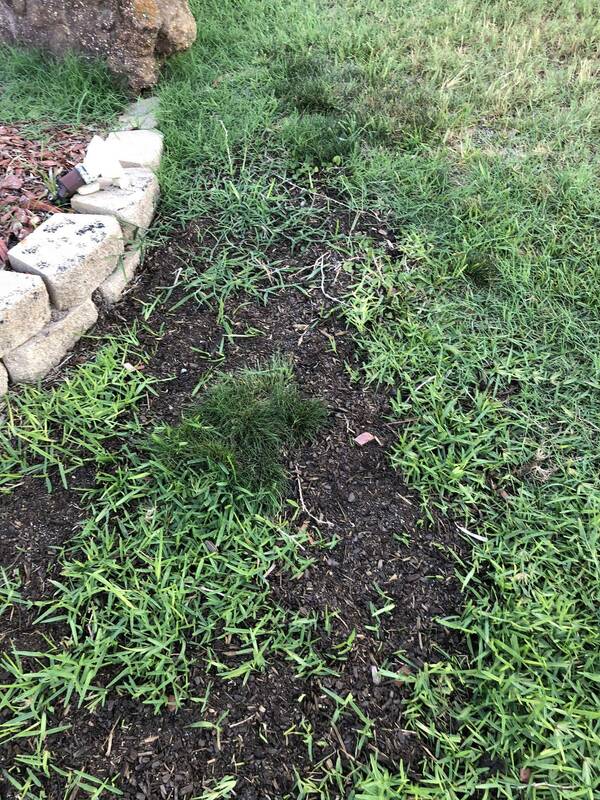 I live in Dallas Tx area and have a strange patch of grass growing in the middle of st Augustine. It’s a darker green with shorter thin blades. Any idea of what it is and how to get rid or control it? I can see from your profile that you live in Dallas, Texas, and that you have been putting a lot of time and effort into your lawn and yard! 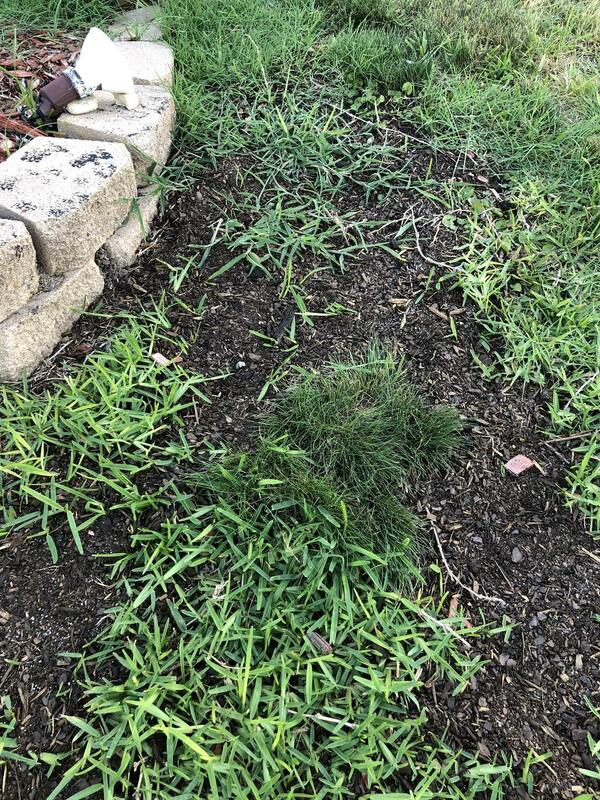 Turf management is a challenge, I believe that you have some grassy weeds/crabgrass popping up; this is the time of year when some grasses go dormant and take rest during the extreme heat…but not crabgrass, this is the time that crabgrass rules! Controlling crabgrass is difficult if you did not use a pre-emergent at the start of the season. You will be fighting a very active opponent. One mature crabgrass plant (from last season) can spread over 100,000 seeds that will germinate and show its “tough little tuffs” once the ground warms up. Pulling the tufts by hand can seem a bit overwhelming, but the effort is very effective especially before the seed heads form. May sure to put the clumps in a bag to be taken away, do not add crab grass clumps to compost pile, the seeds will wake up and the process begins again. 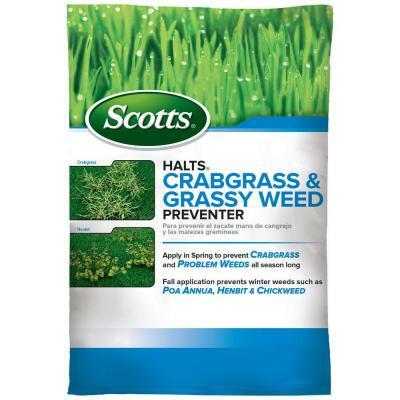 I recommend having a bag of grass seed with you, as you pull the clumps of crab grass out, sprinkle new grass seed in its place while the ground is open and there is a hole. The best defense against crab grass is having a thick, healthy lawn, also using a pre-emergent in the early spring if crabgrass was present during the former season. Crabgrass is an annual plant so the mother plant dies at the end of the season, but she spreads and leaves her seeds behind to grow and carry on! Check out these comments from the HD Community archives on products to cautiously use to help with the crabgrass problem, please remember if you do go the herbicide route, read all manufacture direction on the label! I think that you will find this article very interesting, and informative, on both post and pre-emergent weed control.